The school has opposed efforts to organize by other groups as well, according to Mike Long, the senior communications coordinations for Service Employees International Union (SEIU) Local 721. “Three years ago, faculty voted to form a union in a landslide, and instead of bargaining with them and respecting that collective voice, the university has sworn to keep fighting it in court.” In March, a federal appeals court sided with the university, ruling that non-tenure-track faculty could not form a union. 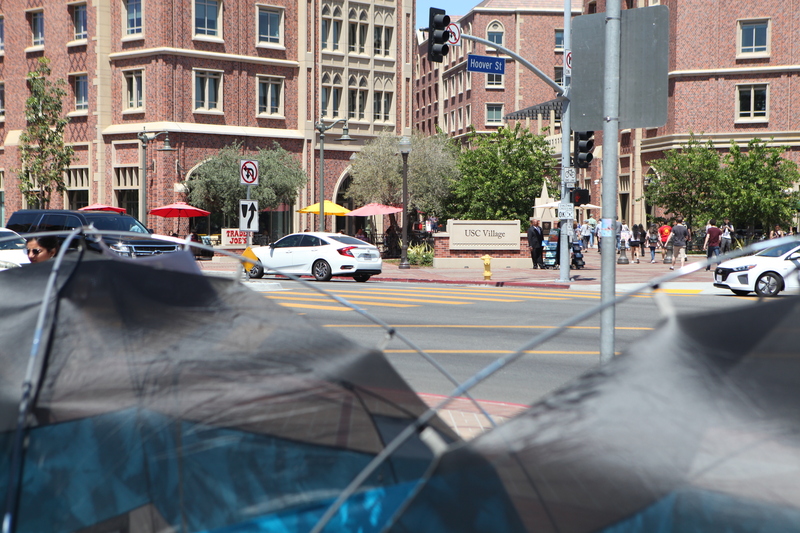 Further cementing the school’s problematic reputation, in February, six male USC alumni who identify as LGBTQ filed a lawsuit accusing a campus men’s health doctor of sexual abuse. The suit names USC as a defendant, alleging negligent hiring and supervision on the university’s part. 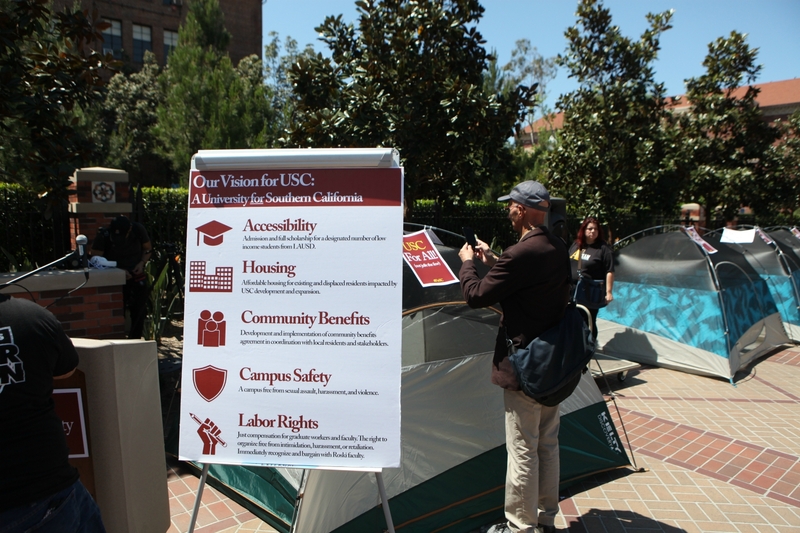 The post Protestors Pitch Tents at USC to Protest Displacement (and Everything Else) appeared first on Los Angeles Magazine.